Soft square shapes and a black-and-white color scheme provide modern elegance. 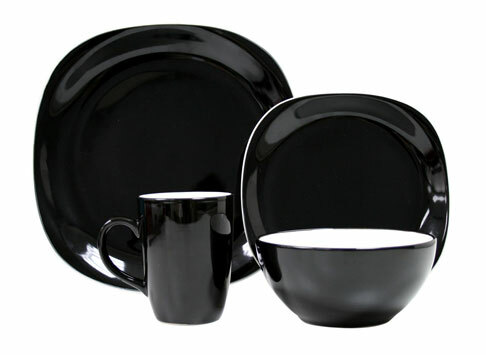 A high-gloss black finish mixes with bright white on the interiors of bowls and mugs for a stunning effect. Duo Quadro Black can be blended with bold red designs to create a dramatic table setting.